I found this red thing. 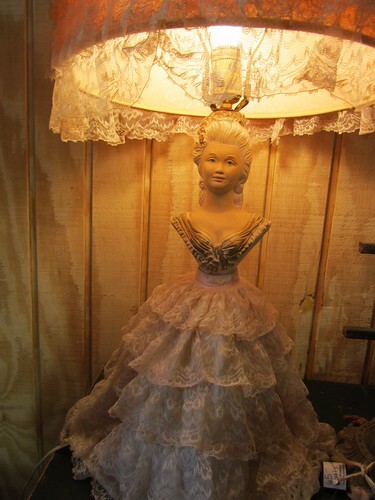 And I couldn't resist this classy lady. This warmer weather is good for my soul. I do love to shop! I love playing hostess, too. After that, I love shopping. In order to shop, I need to sell. 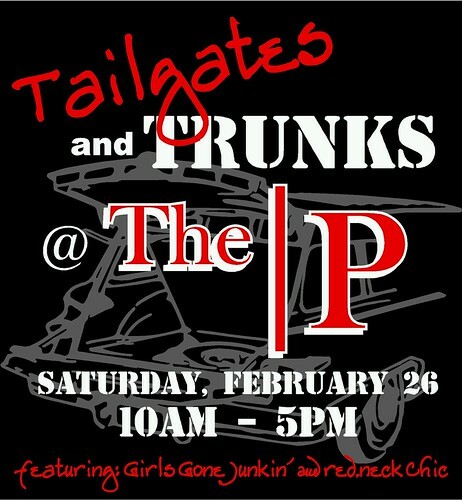 So, to satisfy all of my needs, come out to The Primitique this Saturday for Tailgates & Trunks. I'll play hostess, you buy stuff and then, the next day, I can go shopping. Win/Win! Thanks in advance for your support. Sounds like fun, wish I didn't live so far away! 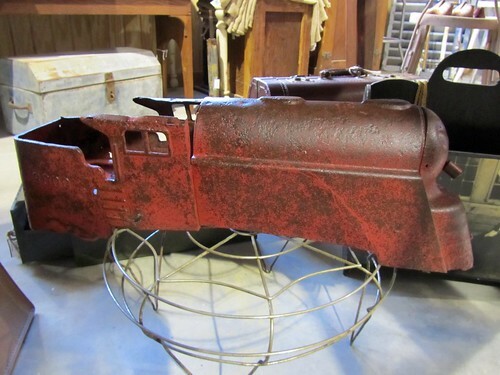 Love those little antique motorcar bodies! I plan on being there on Saturday! My husband just told me about your blog (from your husband) and I saw that you were my newest follower (thank you!). I can't wait to shop! I wish I could be there. But since I can't this time, I hope you sell out of everything. I am going to come to Texas one day. That has been one place on my 'places to visit' list. You are at the top of my list of wonderful places to see and shop. I'll have to get hubby to take me there though......looking forward to it. 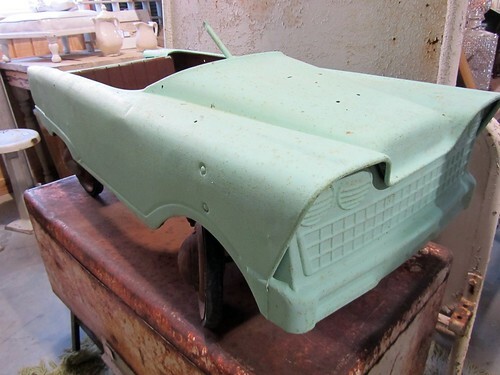 OMG, Mindy, that seafoam green car is amazing!! !